The calendar may still read September, but weary investors are already starting to get their hopes up for a so-called Santa Claus rally in the fourth quarter. The past three months have been brutal. The Dow, S&P 500 and Nasdaq have each plunged about 9% so far in the third quarter and are in the red for the year. They are also all in a so-called correction -- down more than 10% from a recent peak. This will be the worst quarter for stocks in four years -- the last time the market had a correction. Volatility is back with a vengeance. Concerns about a slowdown in China are rattling investors. The plunge in oil and other commodities only adds to the unease about the global economy. There are fears that the upcoming round of corporate earnings reports are going to be awful. More recently, biotech stocks have plunged as politicians have attacked them for the high prices of many of their drugs. The Volkswagen emissions scandal isn't helping either. Finally ... for you Bob Dylan fans ... there's too much confusion about when the Federal Reserve will finally raise interest rates ... and investors can't get no relief. But several experts are quick to point out that all is not lost. "I'm not spooked by this," said Ted Parrish, founder and chief investment officer of Parrish Capital. "We are not going to be down in the doldrums forever. The short-term money is leaving. That's always good." Parrish said his clients aren't nervous either. Many are even calling to ask about buying opportunities. And he's taken advantage of pullbacks this quarter to buy stocks that he thinks have been unfairly punished. Some examples? GE (GE), engine maker Cummins (CMI), Whirlpool (WHR), Apple (AAPL), Qualcomm (QCOM), alcoholic beverage giant Diageo (DEO) and Chinese search engine Baidu (BIDU). Phil Orlando, chief equity market strategist for Federated Investors, is also bullish. He thinks the S&P 500 could surge as much as 15% in the next three months to finish the year above 2,100. His rationale? Hedge funds -- who are likely dumping stocks now as the end of the quarter approaches -- may be too pessimistic and will have to chase stocks higher at the end of the year if there is good economic and corporate news. "Hedge funds are factoring in a China recession and global depression. We'll see about that," Orlando said. History is on the side of the bulls too. October, November and December are typically among the strongest months of the year for stocks -- which is why some traders refer to the fourth quarter bump as a Santa Claus rally. The S&P 500 gained more than 4% from October through December of last year and was up 10% in the fourth quarter of 2013. And stocks surged in the fourth quarter of 2011 -- even though things looked particularly bleak due to the European debt crisis and the credit rating downgrade of the United States by Standard & Poor's. The S&P 500 plummeted 14% in the third quarter of 2011 -- but surged 11% in the fourth quarter to finish 2011 flat. John Norris, managing director and head of wealth management at Oakworth Capital Bank, thinks the same thing will happen this year. He argues that the biggest problem right now is sentiment and that this is not 2008. He believes the market should stabilize once the Fed finally stops doing its best Hamlet impersonation and raises rates. "The market's psyche just stinks. Investors do not have confidence in the Fed right now," Norris said. 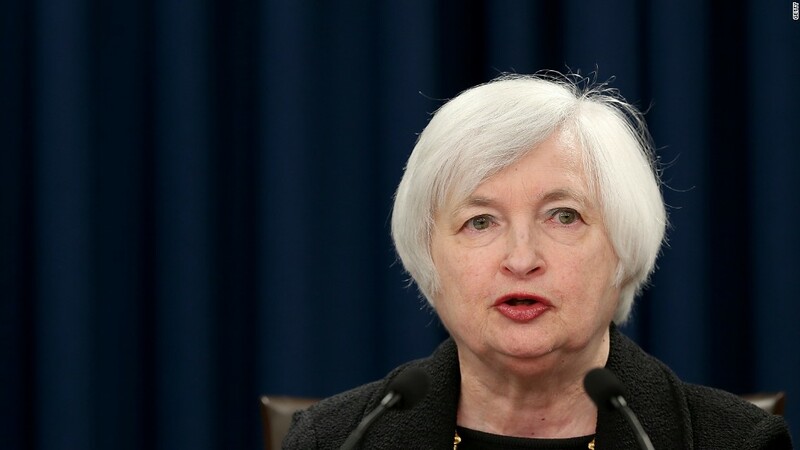 "Fed chair Janet Yellen has not yet earned her stripes. But that will come with time." Still, you can't just rely on the calendar when making investment decisions. You have to look at fundamentals. Sharon Stark, chief fixed income strategist at D.A. Davidson, said if economic growth starts to fizzle in the U.S. and earnings follow suit, that's bad news. With that in mind, it's worth noting that bonds did well in the third quarter while stocks tanked. It really shows that investors are not interested in taking on more risk just yet. "Investors are going to want to see more earnings growth. Bonds will continue to benefit from any disappointments," Stark said. "Investors may look for reasons to err on the conservative side and flock to safety."